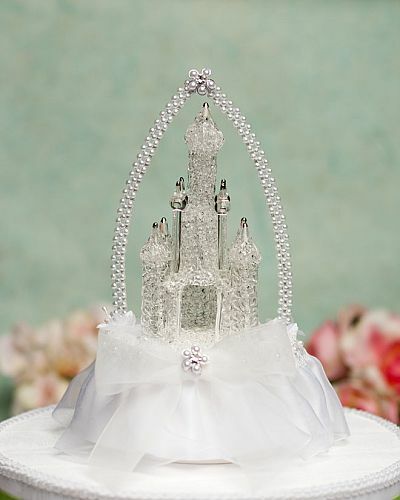 This beautiful wedding cake topper features a faux pearl arch and glass castle. Satin bow with faux pearl detail. Skirt is made of organza. Perfect for a Cinderella fairy tale themed wedding!